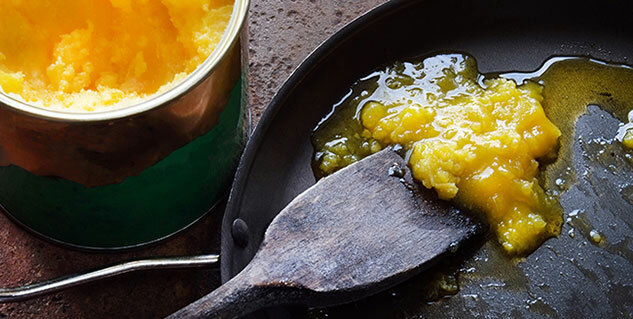 Ghee has numerous health benefits. It is rich in fat soluble vitamins. However,people with high blood pressure should avoid it. 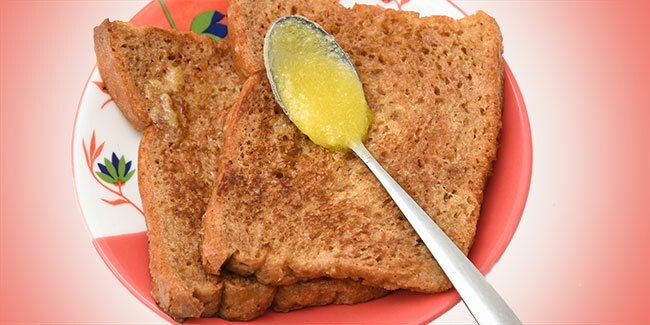 Ghee belongs to the class of clarified butter which was originated in the India and currently being used in various countries for the various cuisines and rituals purposes.Ghee being rich in fat soluble vitamins A,D,E and K pose several health benefits.Here’s how adding a spoonful of ghee is good for your health. Pitta and fire are inter-related. Usually, the substances that balance Pitta, also cause depletion of digestion fire. But ghee is an exception. It balances Pitta Dosha but it increases digestion strength. It nourishes the skin, provides fair complexion and fights with dryness of the skin if massaged on daily basis before bath. If you have chapped lips, apply a drop of ghee on your lips and naval before you sleep. It lowers the bad blood cholesterol level and enhances the good blood cholesterol level thus helps the heart functioning well without overload. However,people with hogh blood pressure and obesity should avoid this.